Animal raising is a small business activity that is encouraged and supported by the Filipino Children's Fund in a number of regions. Piggeries and other animal breeding programs (goats, ducks and cows) provide both a continuing source of food and income for participating children and their families, as well as afford children opportunities to acquire basic knowledge and skills for future livelihood sustainability and future business type initiatives. Young children, working with their parents and under the supervision of a sponsoring agency, learn to be responsible for tending to the animals in their care. Older youths also assist in breeding and selling the animals and their by-products, thereby experiencing the full cycle of animal husbandry for family profit and livelihood. 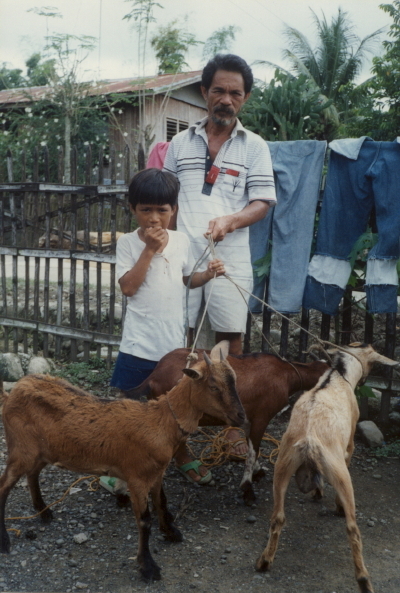 In Antique, the FCF provided support for an animal raising project (principally goats) initiated and managed by the Katin-aranCommunity Outreach Center of Central Philippine University in Iloilo. The Katin-aran Center is a community-based integrated development program covering 72 barangays in Iloilo and Antique and has emerged as a national and international model of self-help development. Well over 100 children and their families from the areas of San Jose and Sibalam were involved with theKatin-aran Center staff in a large and successful instructional, breeding and sales project that extended over four years. With funds provided by the FCF, loans were made to the families of participating children through the Katin-aran Center for the purchase of animals and feed. The young animals were raised by the children of one or more families. When mature, the animals were used for milking, sold or propagated by the families with a portion of sales returned to the Center in repayment of the original loan. Repayments were used to purchase equipment, supplies and livestock and to initiate other families. 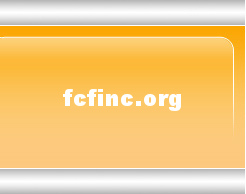 Thus, the initial FCF contribution was reinvested annually in the local community in order to perpetuate the program.